Colaw Fitness members work out on the equipment at the southwest Topeka gym. Cindy Martin, owner and president of His & Her Salon & Day Spa, opened her first salon at 1403 S.W. 6th Ave. She was at that site for 20 years. Jan. 1, 2002. Today, the business, 3311 S.W. 6th Ave., averages 50 to 75 customers daily and provides a variety of services, including haircuts and styling, facials, manicures and pedicures, body wraps, waxing and massages. “I’m constantly looking for ways to upgrade the clients’ experience by upgrading the services we perform and offer based on my travels and experiences,” Martin said. What sets the salon and day spa apart is the Aveda product line, which is all-natural and animal-cruelty free. Certain criteria must be met for a salon to be a carrier of Aveda products. ABOVE: AAA Topeka employee Scott Mulvihill helps keep the towing company’s vehicles clean and ready to respond when a call for help comes in. LEFT: AAA Topeka employs between 50 and 60 people in Topeka and assists motorists within a 100-mile radius. For 40 years, the Catholic parish has adhered to its sacred purpose of expressing devotion to God. But parishioners also reach beyond the church walls to give their time and talent to the Topeka community through food drives and serving a monthly meal at Let’s Help. The parish currently encompasses more than 1,927 households. 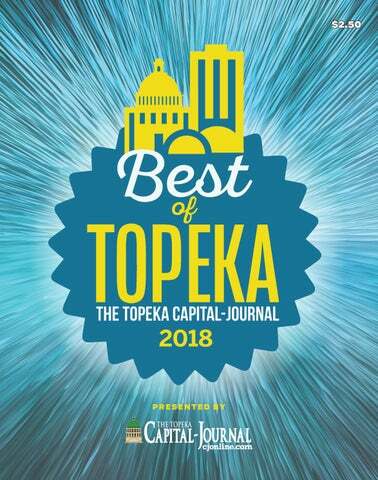 of Kansas Second runner-up: Pat Plumbing, Heating and Air Conditioning BEST HEATING/AIR COMPANY First runner-up: McElroy’s Inc. Second runner-up: DeBacker’s Inc. Need a refrigerator dolly? How about an inflatable water slide, plumbing snake or wedding supplies? For more than half a century, the rental company has been loaning out supplies. With two stores in Topeka, it’s easy to make your way to this treasure trove, where you’ll find everything you need for your party or household project. torgesonelectric.com Torgeson Electric’s vision is to be a leader in the electrical industry by providing comprehensive residential, commercial and industrial services. Experience and up-to-date knowledge lead its contracting team through all phases of the building process, from design to construction, and smaller projects like new wiring and general maintenance. and mulching. For the hardscape: fireplaces, patios, pergolas and retaining walls. The result: a more beautiful and valuable property. services that honor a loved one's life and comfort the griefstricken. It offers reception facilities and food service at its four funeral homes and Mount Hope Cemetery, Funeral Chapel & Reception Center. The business also owns Penwell-Gabel Cemetery & Mausoleum. Styles of clothing and the techniques used to clean them have changed during the nearly 140-year history of this drop-off, same-day-service dry-cleaning business. Shirt cleaning and pressing still reign, but environmentally friendly equipment and cleaning agents score big points with consumers. DEVELOPMENT DIRECTOR AT TARC INC.
Patrick Overbey, owner and chief instructor at Master Overbey’s Martial Arts, teaches martial arts fundamentals to a class of children. Bartender Angelina Lira talks with a couple of local Buffalo Wild Wings customers. Lira has worked at the Topeka restaurant for 10 years. BEST CHICKEN WINGS Buffalo Wild Wings employee Chandler Passow shakes a container of chicken wings, thoroughly coating them with the restaurant’s signature honey barbecue sauce. Cafe Barnabas has a wide variety of premium teas, including loose-leaf teas, kombucha on tap, nitro chai tea and bubble tea. FOOD & DRINK recognized nationally for its products, such as loose-leaf teas, kombucha on tap, nitro chai tea and, most famously, bubble tea. “It’s a green or a black tea smoothie that we put a real fruit puree in, then ice and blend it up — so it’s really a really healthy product that's loaded with a bit of caffeine, and it tastes great,” Christiansen said. Unlike other products, the bubble tea at Cafe Barnabas is made by hand, with no powders or premade mix. “It’s a very house-crafted product that’s not coming out of a package. You can taste the difference in the product,” he said. Justin Fulton, an infusionist at Cafe Barnabas, prepares a teabased drink. The cafe is in West Ridge Mall, S.W. 18th and S.W. Wanamaker Road. The biggest selling points for HuHot Mongolian Grill is its all-you-can-eat grill meal; made-to-order stir-fry; variety of proteins, from cod, mahi-mahi and shrimp to chicken, beef and pork; noodle and rice options; and gluten-free choices. FYI: All the ingredients are high-quality, too. Aboud's-Engroff’s homemade hors d'oeuvres, hand-cut Kansas beef entrees and delicate desserts have been the hit at special events for more than 30 years. You know a caterer is good when it can handle a group of 15 to 5,000 and is the exclusive caterer for the Topeka Civic Theatre and Heartland Motorsports Park. paisanoskansas.com The rustic, robust flavors of Italy have crossed the ocean and landed on the plates of diners at this perennial “Best of” winner. You can create your own pasta dish or order from the lengthy menu of chicken, sausage, seafood or beef tenderloin favorites. Check out the daily wine and cocktail specials, too. Crimson and Blue martinis, anyone? tuptimthaitopeka.com The colors and scents of the dishes being prepared at Tuptim Thai Restaurant are proof enough to know it’s authentic Asian cuisine. Jasmine, garlic, curry, turmeric, basil, scallions, soy sauce, ginger and other seasonings give the appetizers, entrees, salads and soups their punch. Navigating bankruptcy court is as much about providing emotional support as it is about giving legal advice. Troy Berberick, the lone attorney at Berberick Law, 2900 S.W. Wanamaker Road, Suite 204, has helped northeast Kansas businesses and residents through bankruptcy for 18 years. In that time, he said, he has learned there’s more to the practice than complicated finance laws. “They call us counselors for a reason. It’s not just legal counseling,” he said. “The things they express — fear and stress — those are two big things clients are feeling when they come in.” Berberick Law Office specializes in Chapter 7 and Chapter 11 bankruptcy, but he also handles injury claims and other business law. A sign advertises the law office of Troy Berberick, who was voted Best Bankruptcy Attorney in this year’s Best of Topeka competition. Plastic and reconstructive surgeon Marc Baraban was in private practice for more than 30 years before joining Stormont Vail Health a couple of years ago. While at some practices a nurse practitioner might handle some procedures, he takes a more personal approach. “We like to take a more personal basis where I’m the one that sees the patient, I’m the one that explains it, I’m the one that does the procedure, whether it be the injectable, which is the Botox and the filler, and of course the surgery,” he said. 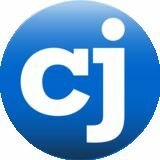 “I think it gives the patient the best possible result if I’m the one that does it.” Baraban, whose office is in the Cotton O’Neil Mulvane clinic at 823 S.W. Mulvane, said the most frequent procedures he performs are “tummy tucks,” or abdominoplasties, and breast surgeries. Marc Baraban, a plastic and reconstructive surgeon with Stormont Vail Health, examines a patient in his office at Cotton O’Neil Mulvane. Baraban has been in practice for more than 30 years. Broadcast host David Thompson isn’t surprised that Advisors Excel was named the best place to work in Topeka. “I know it’s a good place,” he said, “because I tell people where I work and they’re like: ‘Oh, I’m jealous!’” For Thompson, one of the things that set Advisors Excel, 2950 S.W. McClure Road, apart is how it treats its employees. committee” to help employees blow off steam with water balloon fights and obstacle courses. Copywriter Kristin Ross says she can’t work anywhere else. “Mostly, I feel lucky — this is my first job out of college. I can’t leave, because I’m already spoiled,” she said. estate agent, has been yelling “Sold!” since the 1980s, surviving the trend toward eBay and other online auction sites. Established in 1997, Topeka Ear, Nose & Throat has gathered an experienced staff of otolaryngologists, audiologists, speech-language pathologists and physician assistants, who utilize the most recent research and technology to treat a variety of ENT problems, from snoring to hearing loss to thyroid concerns. Being a good neighbor means helping others, and that’s what drives this nationwide, multifaceted insurance company. From responding to disasters or routine rear-enders to being involved in community projects, State Farm is always there and striving toward building safer and stronger communities in which its customers work and live. Sometimes, illnesses or injuries aren’t serious enough to make a trip to the emergency room but still require care as soon as possible. That’s when Cotton O’Neil Express Care comes in. The urgent care walk-in clinic’s services include physical exams, X-rays and lab tests. Tarwater Farm & Home Supply stocks a variety of products, from hardware and tools to lawn and garden items to hunting gear. BEST FARM SUPPLY STORE First runner-up: Orscheln Farm & Home Second runner-up: Tractor Supply Co.
come in and use the space,” said Thad Halstead, marketing director for AIM Strategies, which owns and operates The Pennant. Some regulars come in to play the retro arcade games, while families can eat and bowl together or parents can have a drink while their kids hit the arcade, Halstead said. jacksonsgreenhouse.com A favorite gardening and landscaping destination, Jackson’s Greenhouse offers everything you’ll need to grow plants indoors or outdoors, including annuals and perennials, cacti, orchids, succulents and tropical plants. Among its products are mulch, soil, sod, bird baths, tools, paving stones, insecticides and fountains. If you’re looking for something that will impress a loved one, take a look at the diamond rings, wedding bands, vintage estate jewelry and watches in the display cases at this family-owned and -operated jewelry store. Calhoun’s also repairs jewelry and watches and uses its CAD software, 3-D printer and casting equipment to custom-make jewelry. Those looking for a new ride will find American-built cars, trucks and sport utility vehicles at Ed Bozarth Chevrolet Buick GMC. The longtime Topeka dealership’s lot is packed with quality vehicles. Its tire, body shop and parts/service departments will keep your vehicle on the roadway for years to come. And you won’t be disappointed by the customer service. Whether you’re searching for a quiet place among flowers and well-groomed gardens or a rigorous hike through wooded trails, Topeka has plenty of walking, hiking, biking and jogging paths to explore. Put on your sneakers or boots and pack your water bottle and trail mix before heading out to the concrete bicycle/pedestrian paths at Lake Shawnee or Crestview Park’s Shunga Trail. Hikers also can get a workout at Brookfield Park, Dornwood Nature Trail, Landon Trail, Orville Rice Nature Trail, Freedom Valley and Soldier Creek Trail. The folks behind this tribute museum to Evel Knievel chased their dream just as fast and hard as the legendary daredevil himself. The museum, connected to Historic HarleyDavidson, showcases Knievel’s bikes; “Big Red,” his Mack truck-trailer; his flashy helmets and clothing; and the many products carrying his name. Narratives define the icon and his historic jumps. A virtual-reality experience puts you on a motorcycle for a jump over 16 cars in downtown Topeka. The museum is open Tuesday through Sunday; admission is charged. walkways, and the old Kansas Supreme Court, where fearless judges outlawed the Ku Klux Klan. And, if you’re heart-healthy and not afraid of heights, climb the 296 steps to the dome for a panoramic view of the city. EDITORS’ PICKS appetizers, burgers, sandwiches or entrees to order — nothing is pre-cooked or pre-assembled. Try the Slawburger, a Speck’s original featuring a hamburger patty garnished with sweet slaw, or the House Burger, made of breaded ground beef with Swiss and American cheeses, shaved ham, grilled onions and grilled mushrooms. Still hungry? Order the 3-pound beef burger on a 14-inch bun with homemade fries, onion rings or potato chips. Topeka restaurant. Chef Adam VanDonge takes locally grown, bred and produced products and re-imagines them into modern, unique dishes, such as braised rabbit with creamy polenta and saffron cream, or a house salad with mixed greens, grains, blueberries and feta cheese. Unique to the restaurant is a chef’s table, hosted by VanDonge and set up in the Knox Vault, built in 1888 as part of the original bank building. In Barrington Village in southwest Topeka, this coffeehouse serves specialty and traditional espresso-based drinks, drip coffees, fruit smoothies, chai tea, hot teas, assorted pastries, sandwiches, create-your-own breakfast sandwiches and other snack food items. The Steam Engine also sells whole coffee beans, fresh and locally roasted by PT's Coffee Roasting Co. Favorites: butterscotch scones and John Brown, a medium-dark roast blend with flavor notes of chocolate, black cherry and tobacco. Pizza and bagels come together at this retooled restaurant, where owners Jim and Shanna Burgardt have rearranged the floor space, upgraded the menu and discarded its old name — Bagel Express — as part of its rebranding. House and specialty pizzas, with crispy thin or traditional crusts and a variety of toppings, are sold by the slice or pie, alongside bagels, sandwiches, salads, smoothies, wine and beer. Favorite espresso drink? Raspberry Truffle, made with espresso, steamed milk, chocolate sauce and raspberry syrup. EDITORS’ PICKS disability while making positive differences in people’s lives by helping them build skills and access resources. Its children’s services include physical, occupational and speech-language therapies, autism programs and adaptive recreation. Adult services include residential supports, recreation and leisure activities and work opportunities in the foundation’s auto detail, custom furniture and small-engine repair shops, business support center and gift store. limits in the weight room. The complex also includes hiking trails; sand volleyball and tennis courts; soccer and softball fields; and an aquatic center with a three-pool design, ample green space and a Viking theme. juliscoffeeandbistro.com This cozy downtown coffeeshop and bistro presents a long list of drip, espresso and gourmet coffee drinks and a menu laden with flavorful biscuits, breakfast burritos, sandwiches, wraps and salads that make it a popular destination for breakfast and lunch. Think the Train Wreck, an open-faced biscuit sandwich smothered in sausage gravy, or the Cristo Kicker panini, with ham, turkey, Swiss and strawberry jam on Italian bread dusted with powdered sugar and cayenne pepper. Featured drinks: Mother Earth organic coffee and flavored coffees by locally owned Blue Jazz Java. Established 50 years ago, this eclectic modern and contemporary furniture boutique is inspired by the trendy, fashionable SoHo neighborhood of New York. Family-owned Soho Interiors carries more than 75 lines of merchandise, including Americanmade goods, and offers in-home interior design consultations. Stop in during the monthly First Friday Art Walk to see exciting new works by local and regional artists. The Jewish community in Topeka dates to 1868. Yet, Temple Beth Sholom, the city’s only synagogue, wasn’t built until 1920. The temple is home to a spiritual family who honors the Jewish holy days and life cycle events, such as weddings, births and bar and bat mitzvahs. The congregation gives back to the community by helping women’s shelters, the homebound and the hungry, including preparing a Christmas Day meal for Breakthrough House members. Its annual Blintze Brunch, with traditional Jewish food, music and Israeli dancing, is a springtime favorite that sells out quickly. THANK YOU FOR VOTING US BEST OF TOPEKA FOR 21 CONSECUTIVE YEARS! Experience exciting table games, over 1,100 slot machines, award-winning dining, live entertainment, and Golfweek’s Best Course in Kansas, all only minutes from Topeka. Plan your stay at Prairie Band Casino today and – whether your game’s played on felt, at the slots, or on the links – discover even more ways to play. Must be 21 years of age or older to gamble. Minimum age to play Bingo is 18. Owned by the Prairie Band Potawatomi Nation. Getting help is your best bet. Call the confidential toll-free Problem Gambling Helpline at 1-800-522-4700.